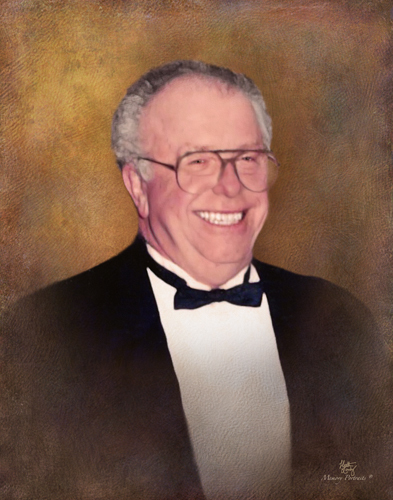 Alden Talcott Warner of Hebron, CT passed peacefully from this life at Marlborough Healthcare on January 23, 2019 at the age of 88. He was born the last of seven children, to Norman and Mabel Warner on April 29, 1930. Thus, the story goes “she was all-done” having children! Alden was born and raised on a farm in the Gilead section of Hebron. He was in a band with some of his siblings “The Barnstormers”. He was in the Air Force Band from 1950-1954. Alden met Barbara Jaycox at a square dance, fell in love and married in 1955 and had five children. He worked at Pratt & Whitney for 37 years as a machinist. He was a member of Gilead Congregational Church and previously in the choir. Alden had a second chance at love when he married Anne Gurnon. They had 25 wonderful years dancing, socializing and family gatherings. They loved to sing at the Tolland senior center and he was bandleader of “The Old Rubber Band”. He was a happy, hardworking, dedicated father and husband. He loved a good laugh, music, gardening, woodworking and his family, the simple things in life. He is survived by his loving children: Scott (Joan) Warner, Bonnie (Bill) Ducharme, Gale (Brian) Doyle, Alison (Mike) Doherty as well as many grandchildren and great grandchildren. He was preceded in death by his parents Mabel and Norman, wife Barbara, son Mark, wife Anne, siblings: Norton, William, Olive, Allene, Charlotte and Jean.